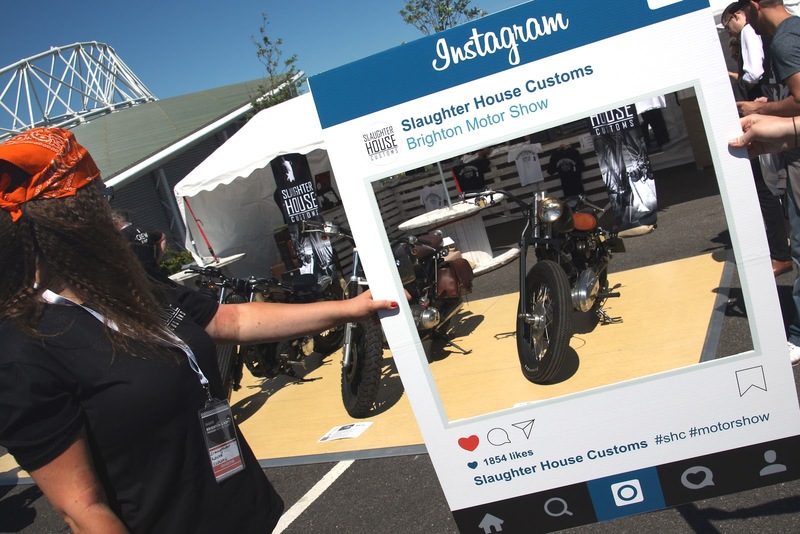 Slaughter House Customs are on the road! 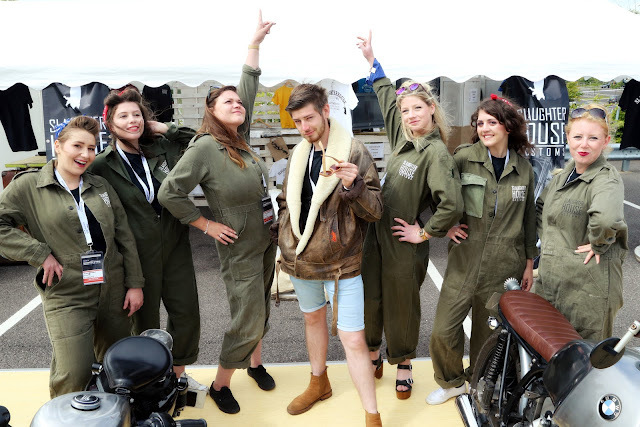 Last weekend we made our way down to Brighton, trailers full of motors, a van full of clothing and cars full of crew members. 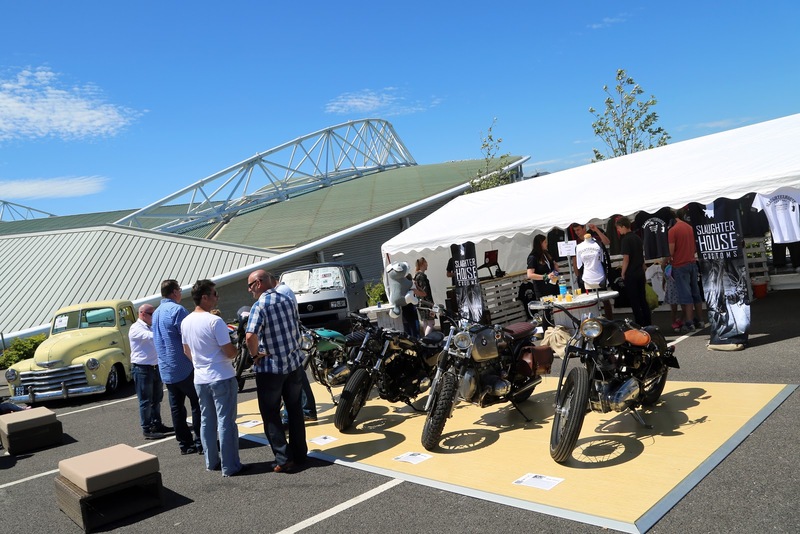 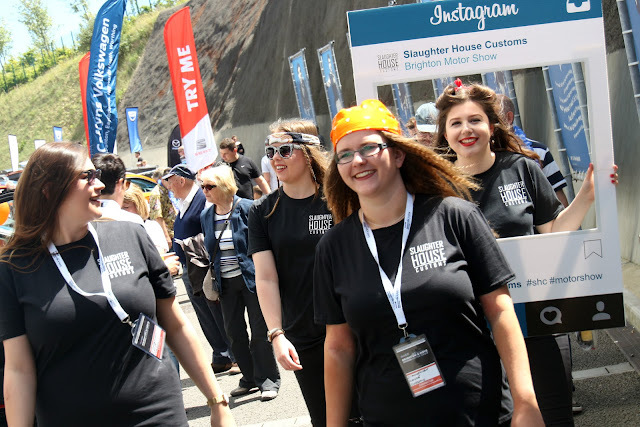 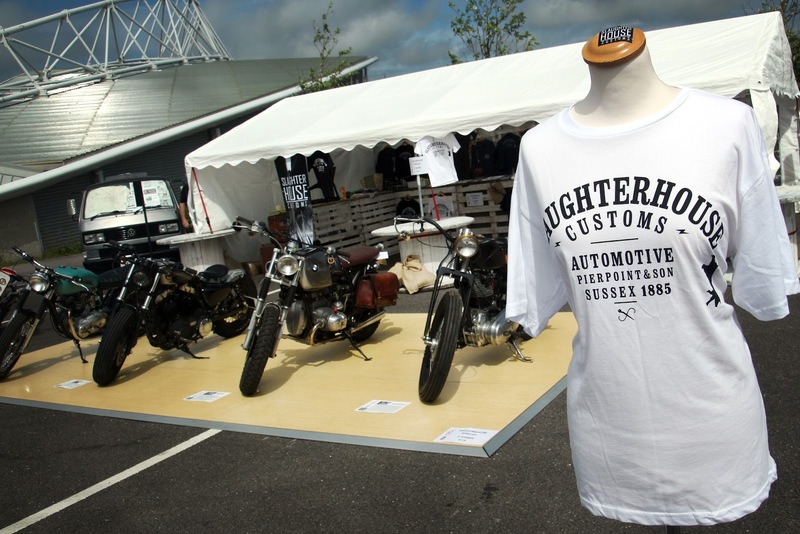 We set up the show as the Slaughter House Customs Team at the AMEX stadium for the Brighton and Hove Motor Show. 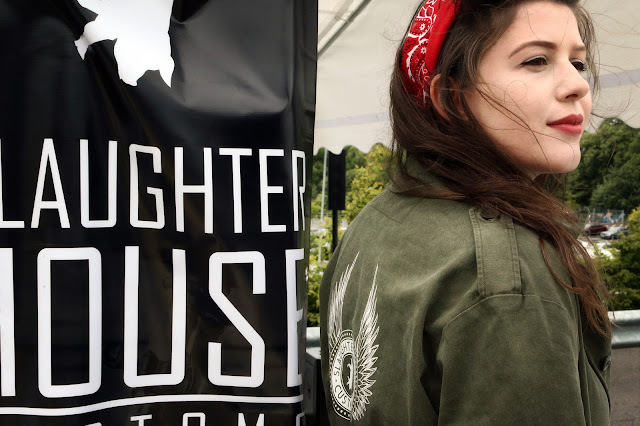 The Slaughter House Customs stand was as unique as the brand, and we stood out from the average Joe with more than just some pretty cars to look at. 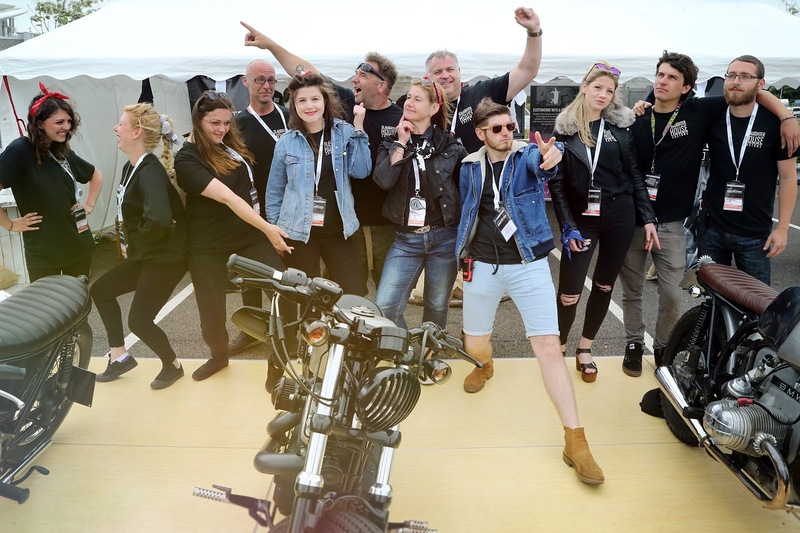 We had clothing, motorbikes, cars, music and even a bit of (questionable) dancing from the crew. 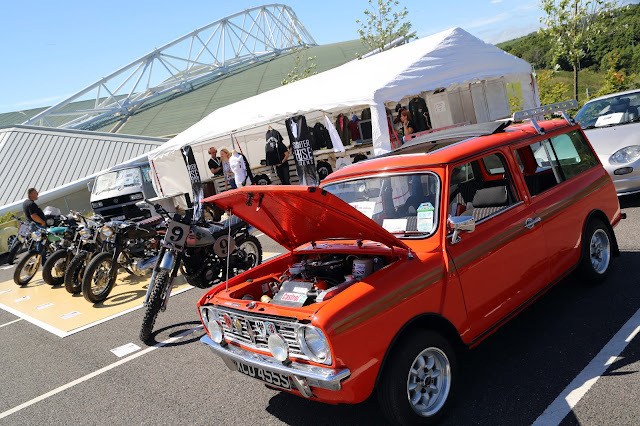 We were the noisy ones in the corner, blasting retro tunes and revving engines, we had crowds flocking and we were getting noticed. 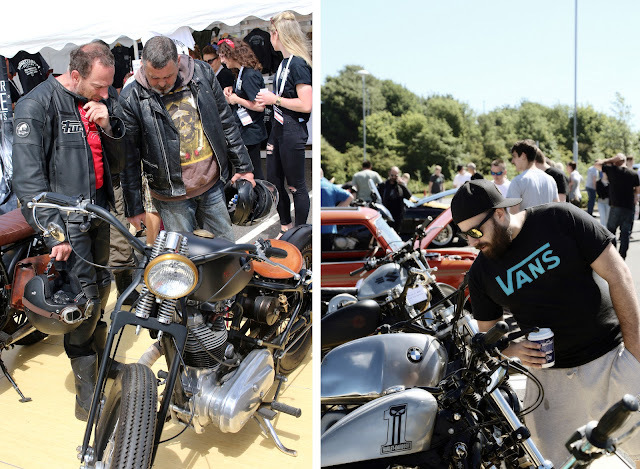 It's safe to say you don't have to be a petrol head to appreciate the beauty of a fine motor and by exhibiting auto-motives through the decades we had everyone from young mums, leather clad bikers and well dressed city chics buzzing around our stand. 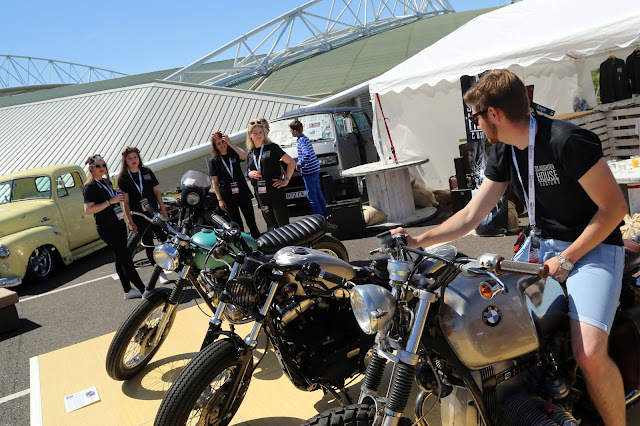 The show was the SHC launch of the 2017 t-shirt, a classic biker tee which went down a storm with people trying, buying and walking away with them on. 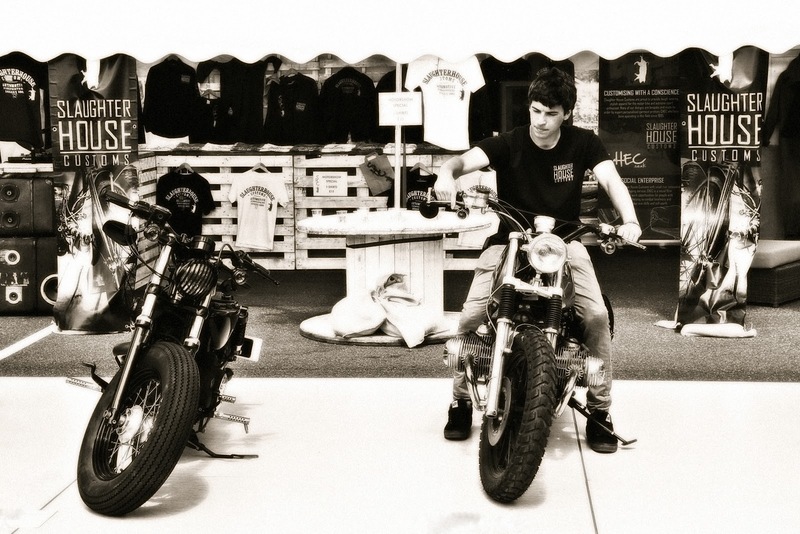 Rock one with some jeans and converse or leather boots and you'll look like you've just stepped off a bike. 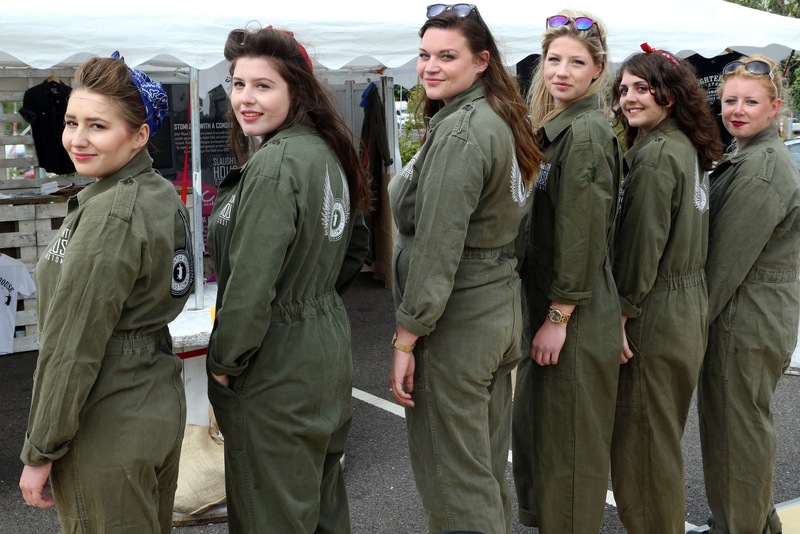 Or if you prefer a more delicate twist, knot it at the front and wear with a floaty skirt and sandals. If you fancy giving your wardrobe an edge, these tees and other SHC apparel will be available to order over the coming weeks from the website. 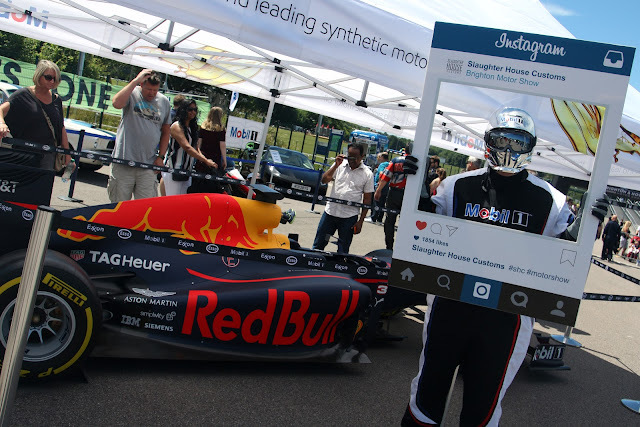 The motor show was a roaring success and if you missed us at this one we hope to see you at the next! 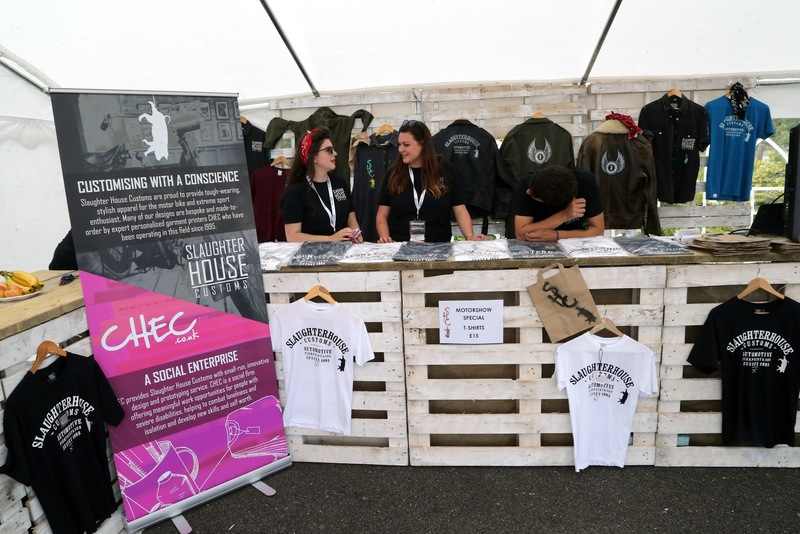 Keep up to date with the SHC where-abouts through social media..